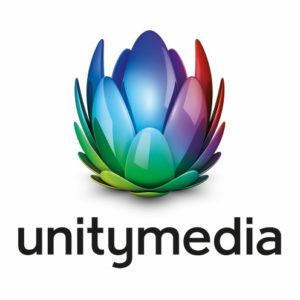 Unitymedia is the largest cable operator and one of the leading providers of media and communications services via broadband cable in North Rhine-Westphalia, Hesse and Baden-Württemberg. Through one of Europe’s most modern cable networks, Unitymedia reaches 12.7 million households and offers them digital and analogue television and radio as well as telephony services and the ability to surf the Internet. Unitymedia is close to the customer and reacts quickly and flexibly to individual wishes and requirements.At the same time, membership in the international Liberty Global Group enables fast innovation cycles in order to always offer customers the best technical possibilities. 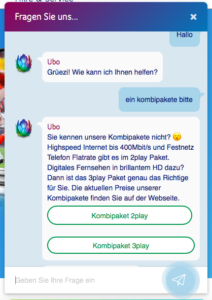 Inbenta provides Unitymedia with their brilliant chatbot Ubo.